Resolved sign up and customer information required to order services with dealers and repair centers. 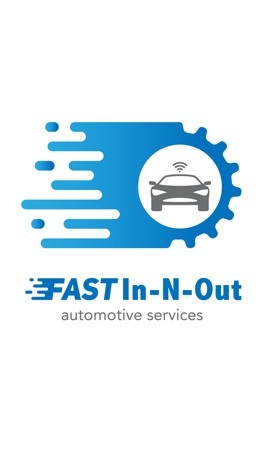 Skip the long queues at automotive dealers and service centers and use Fast In-N-Out kiosk app! 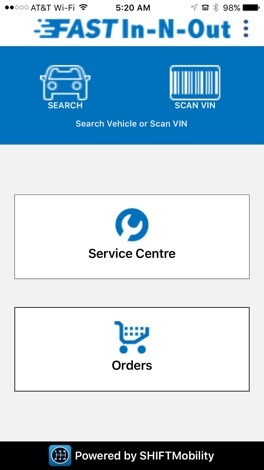 Checking in your vehicle, selecting required services, buying and printing your orders can be done within seconds via this app. [.] Available at all dealers, service and repair facilities on SHIFTMobility Network. [.] Check-in time: You can check in any time. Your orders and service status is instantly updated. If you have already checked in via the app, you can directly take your vehicle for services, print your order (optional), and check out as soon as the vehicle is ready. Visit www.shiftmobility.com for more information.